The Paulick Report is pleased to bring back a popular photo/video feature that will spotlight stallions standing in Kentucky. The series, put together by our friends at EquiSport Photos, will feature stallions that are entering stud in 2018. This week's spotlight stallion is Keen Ice, a 6-year-old son of Curlin that is standing his first season in 2018 at Calumet Farm. Keen Ice made his racing debut at age two, breaking his maiden in his second start, an eight-furlong contest at Churchill Downs in September. His next start was in stakes company, where he finished fifth in the G1 Breeders' Futurity at Keeneland. He closed out his juvenile season with a third-place finish in the G2 Remsen Stakes. Keen Ice was sent out on the Triple Crown trail as a 3-year-old, where he finished third in the G2 Risen Star and fourth in the G2 Louisiana Derby. After an off-the-board performance in the G1 Kentucky Derby, Keen Ice rebounded with a strong third to American Pharoah in the G1 Belmont Stakes. Keen Ice continued to improve throughout his 3-year-old season, finishing second in the G1 Haskell Invitational before breaking through for his biggest victory, a three-quarter length win over newly-minted Triple Crown winner American Pharoah in the G1 Travers. Keen Ice continued to race through his 4- and 5-year-old seasons, when he won the G2 Suburban and was a close second in the G1 Jockey Club Gold Cup and G1 Whitney. He was retired to stud with a record of three wins, four seconds and five third-place finishes in 24 starts, with earnings of $3,407,245. We hope you enjoy the latest edition of In the Stud presented by Kentucky Equine Research. We would once again like to thank our friends at EquiSport Photos for the great video. Keen Ice from EquiSport Photos on Vimeo. 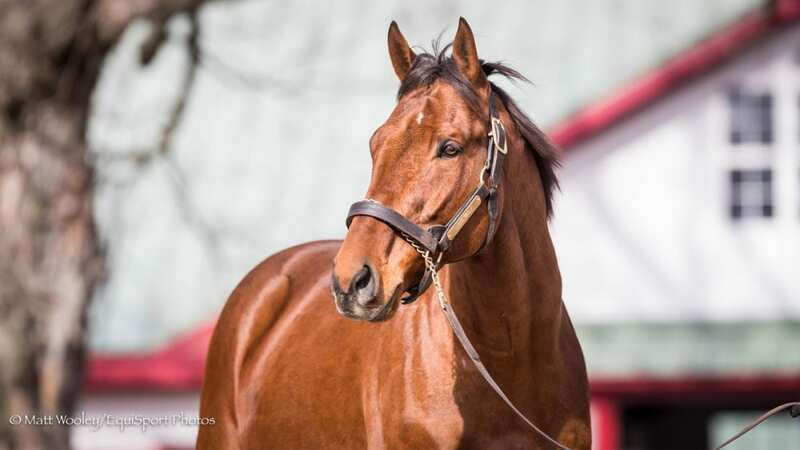 This entry was posted in In The Stud, Videos and tagged Calumet Farm, Curlin, Horse Racing, in the stud, keen ice, kentucky equine research, thoroughbred by Paulick Report Staff. Bookmark the permalink.